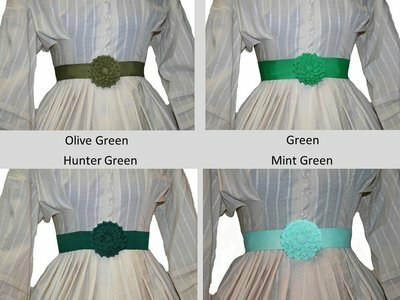 Rosette belts were worn by ladies with nice day dresses, evening dresses and ball dresses. 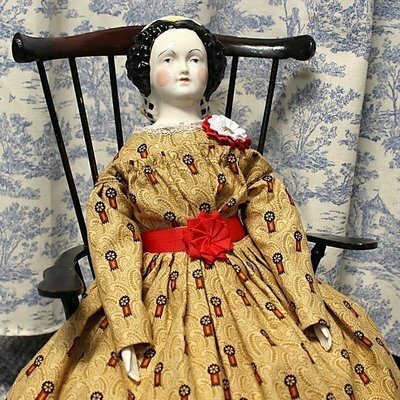 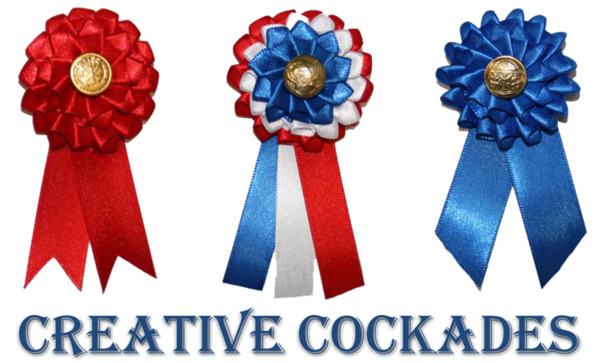 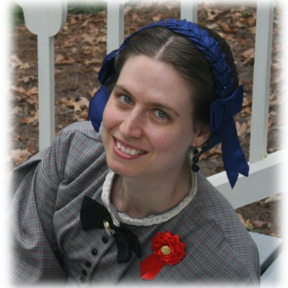 They especially reached their popularity during the mid-1860s. 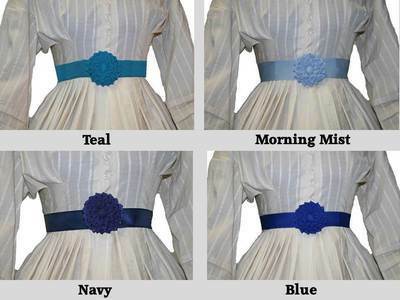 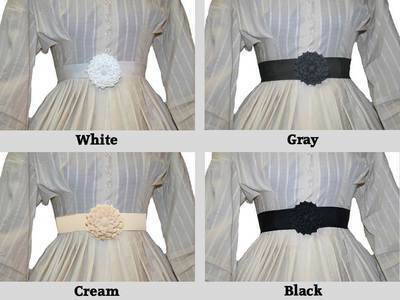 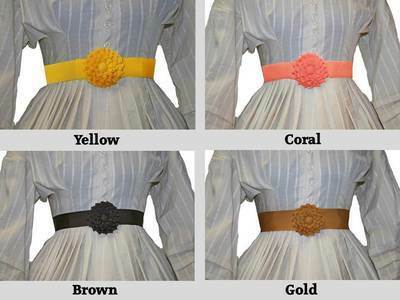 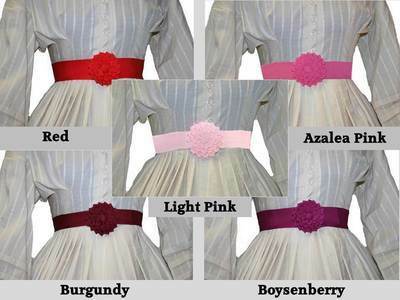 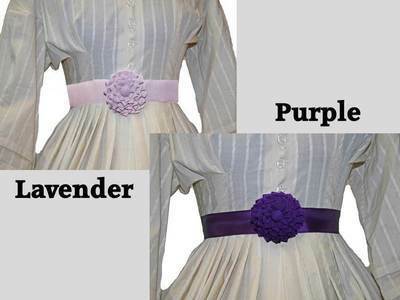 My petersham (old-fashioned grosgrain) belts are suitable for day or informal evening dresses. 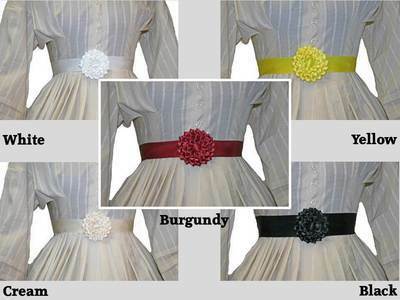 My silk belts are suitable for nice day, evening or ball dresses.